yet another week has come and gone ... and time seems to be flashing by like a slideshow. this week has also been a really busy week for me as work is starting to come in on turbo speed. i'm not complaining at all ... i dun think anyone who's been unemployed for a year has any right to complain about work coming in. I REJOICE IT!! 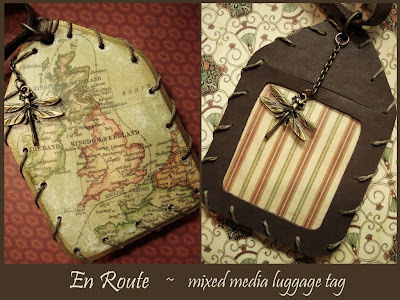 what expresses the word "travel" more than a quaint luggage tag ... and i 've made this one look like it's not only traveled places, but also traveled thru time. the destressed marks were made by sanding the surface of the paper with a coarse grit sandpaper. probably had its fair share of vampire owners too! all the brown bits you see ... are leather. 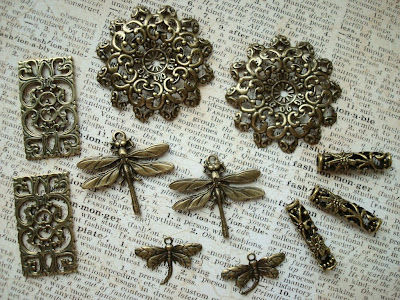 and don't you agree that the dragonfly charm is absolutely charming? it is one of the most beautifully made charm i've ever seen! metal and wonderfully detailed. the mold is made from sculpey mold maker and you can see a pic of this mold maker in this post. aren't her charms and filigrees just amazing? not only are her things beautiful, they are reasonably priced and thus value for money. tova is a wonderful person to deal with and i would recommend her to anyone who wants to purchase jewelry supply ... take some time to visit her etsy shop, sinergy. As usual you WOW me with your creativity. Luthien, your imagination and creativity are amazing! You always come up with something wonderful! Congratulations on your new work projects! 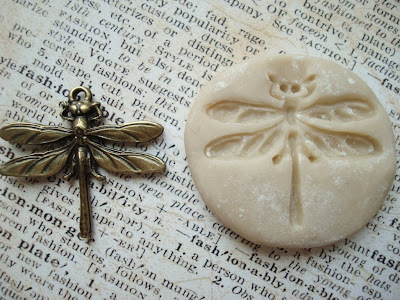 I'm going to have to try out that clay mold stuff- I'll have to remember to pick that up. I love the luggage tage Luthien! Ooh I am so lovin' those tags - they do seem to come with a story or two attached don't they! In fact, I reckon there's several stories waiting to be told. Nice to see a map of the UK. If you find the spot between Coventry, Cambridge and Oxford - that's just about where I am! Have fun and success on your work trip and we'll see you back here soon - looking forward to hearing about all your adventures. 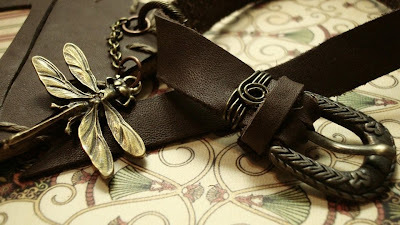 Oh Luthien, this tag is gorgeous! Your blog header may say you're not an artist, but I disagree. You are an artist, a truly gifted one! thank you very much! and yes... i'm looking forward to working on the project!! thank you! i love how it turned out too... sometime you just can't say when you're digging your sandpaper into something ... sometimes it just gets ruined. but this one turned out alright :) the mold maker is the coolest!! LOL!! thank you maire!! you are too sweet!! thank you my fren! UK will always have a place in my heart ... i have so many fond memories there!! i will go and look at the spot you're talking about ;) i'm excited to go on that adventure too :))... there will be stories, there definitely will be stories!! awww... thank you so much chris :)) that's so sweet! hope everything is going well on your side :)) missed you yesterday at the meeting but knew you we're the busiest mom on earth :)) HUGS!! 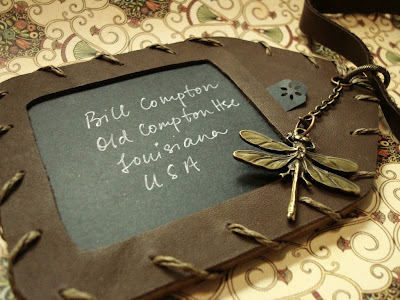 I agree, that dragonfly is just gorgeous and thank you so much for sharing your Etsy find with us. I'm off to check her out. just perfect for the travel theme. it is screaming nostalgia & i luv the colors! you have a beautiful blog banner...very pleasing to my eyes! I love your blog and your creative touch inspires me so much! thank you very much for your sweet comment :)) i'm so thrilled that you like the banner!! at one time i had some issues with the colors of my blog and banner ... cos my laptop showed a diff color from my desktop!! UGH!! thank you for the award my fren :)) hehehe ... sharon left it for me too!! cool! then i can do 1 for 2! !